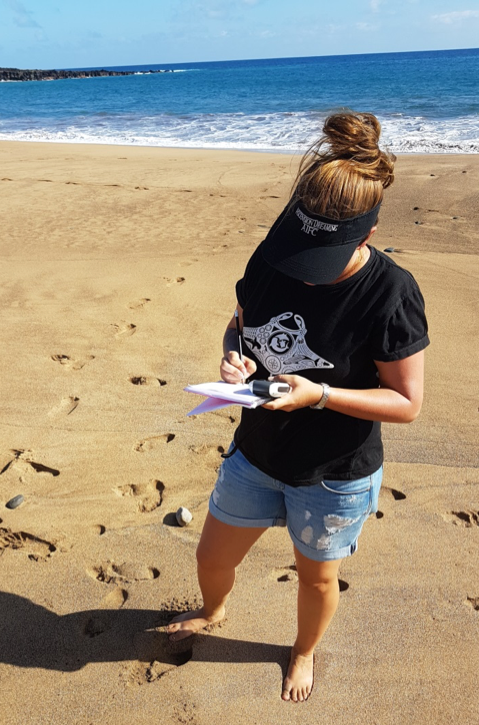 This week we chat to…Kathryn Chadwick, a Marine and Fishers Scientist for Ascension Island Government – Conservation Department. Katharyn’s career path shows that it is possible to switch careers if you are prepared to put the work in. Having made the most of her time at university gaining skills and experience through internships and volunteer work she then found her dream job through our Wise Work pages. I was lucky enough to learn to dive on the Great Barrier Reef, Australia and very quickly fell in love with the ocean. I had always had a fascination with the marine world, but this was never fully realised until this point. Travelling for those 8 months opened my eyes to impacts humans were having on the World’s oceans. It is a beautiful but fragile ecosystem that we need to look after and having the chance to contribute to its protection at the front line, so to speak, was an opportunity I couldn’t pass up! I came to this career choice later on in life, having worked in recruitment for almost 10 years. I made the choice to save some money to enable me to return to higher education at the University of Southampton. My A Levels were a while ago and not in particularly relevant subjects, so I first had to make it through a Science Foundation Year where I studied Maths, Chemistry and, Biology to A Level standard. On completion of this, I moved on to a BSc in Marine Biology with Oceanography. This course covered a breadth of topics and practical experiences which laid the foundation for my career. During this time I also worked as a terrestrial ecology surveyor, which gave me the skills needed for survey design and data collection out in the field. As paid marine experience is hard to come by, I felt that this in-field work would be a great opportunity to build up a skill set whilst supporting myself through my studies. 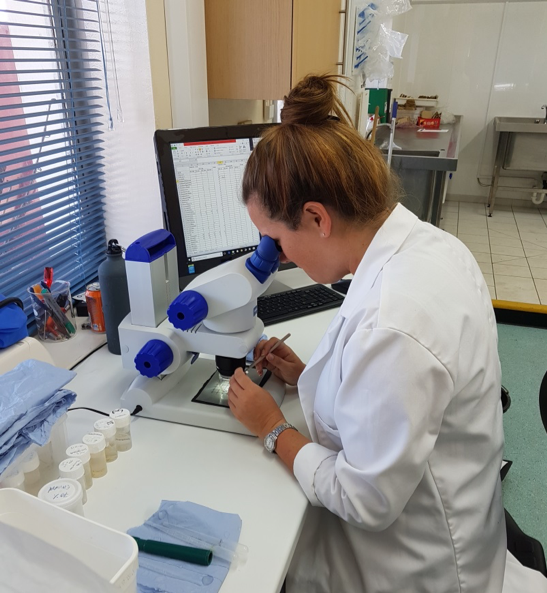 I also took on short term projects within the university, in the natural history marine collections team and assisting PhD students with sample preparation and lab work. I also completed an internship with the Southern IFCA, assessing the local lobster fishery. 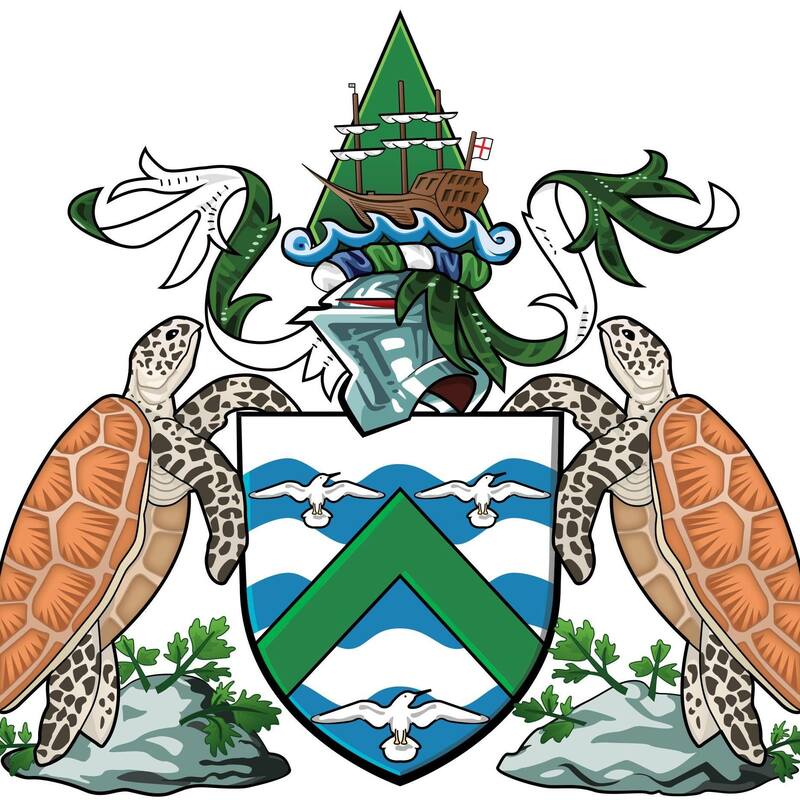 Having successfully completed my BSc I moved on to the integrated Masters to convert my qualification to an MSci in Marine Biology. I was then lucky enough to secure a place on an internship looking at cetacean acoustics, social interactions and photo identification on a remote island in Northern British Columbia. This was a great experience working at a research station and getting used to remote island life. It has been a hard 5 years to get me to today, but I wouldn’t change it for the world and I have met some great people along the way. Funnily enough, I saw the position advertised on WiseOceans. Like most people, my first reaction was “where on earth is Ascension Island?” Initially, I had to supply my CV and a covering letter highlighting how my skills set and experiences would be suitable for the position. This was then followed by a joint face to face and Skype interview (for staff members still on the island). A couple of days later I got the call with them offering me the job! I couldn’t, and on occasion still can’t, believe how fortunate I was to get the position. It has to be the variety! We are a fairly small marine team on the island and as such we are involved in everything from zooplankton abundance and biomass surveys through to the tagging of large pelagic species such as sharks and tuna. As the conservation team itself is small we also get to help out with terrestrial projects too, such as the management of invasive species, or endemic land crab monitoring and sea bird projects too. No two days are the same and I love that! 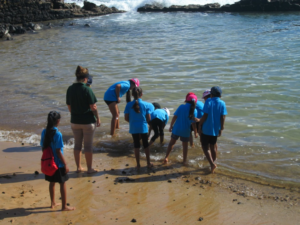 We get to do a lot of outreach work with the local community, in the form of beach cleans, SCUBA surveys, talks and film screenings. It is great to see the commitment and enthusiasm from the people here, especially the kids. We have set up a plastics assessment programme for the beaches on Ascension and this has been going for just over a year now. We are able to inform the public of our findings and keep them engaged in the plastics problem. Working closely with the fishermen here is also very rewarding. They impart their knowledge and catch data and we provide analysis that feeds back to them and into management decisions, in which they also have a say. This has been made possible by the formation of an advisory committee made up of myself, another colleague from conservation and 6 local fishermen. Developing this in particular has been extremely satisfying and will hopefully have a positive impact on the conservation/fisherman relationship on the island. With any role in which data is collected and used for conservation purposes QGIS and R are the most popular tools and as such having a solid grounding in the applications of both programmes is invaluable and will save a lot of headaches when starting out. The conservation field is a competitive one and it pays to get as much field/practical experience as possible during your time at university, or before. Where you get this experience isn’t always as important as you might think and there are some great opportunities on your doorstep if you look. Never get disheartened when it comes to the job and internship application stage, keep plugging away and send out expressions of interest to companies, even if they are not overtly hiring, who knows what may come out of it. Build a good contacts list; you never know whose path you may cross again or where collaboration would really help out on a projects development. I know cetaceans can seem a little obvious for a marine biologist, but it has to be the fin whale. I spent some time identifying individuals in BC and they were a big part of my Masters using isotopes to elucidate migrations and trophic niche. The fact that we know so little about them for certain fascinates me. That an animal second only to the blue whale in size can be so hard to spot and could be passing you by without you having a clue also makes me smile. It would have to be when four of our team went out to survey up in British Columbia and we were surrounded by a pod of Orca, taking ID shots while they spy hoped, tail and fin slapped and the three big males came right alongside the RIB to have a look. It was pouring with rain, windy and cold, but I loved every minute. Being able to get the opportunity to be part of this research was an honour. Thank you Kathryn for your great interview and we are thrilled our Wise Work pages helped you land this fantastic job! 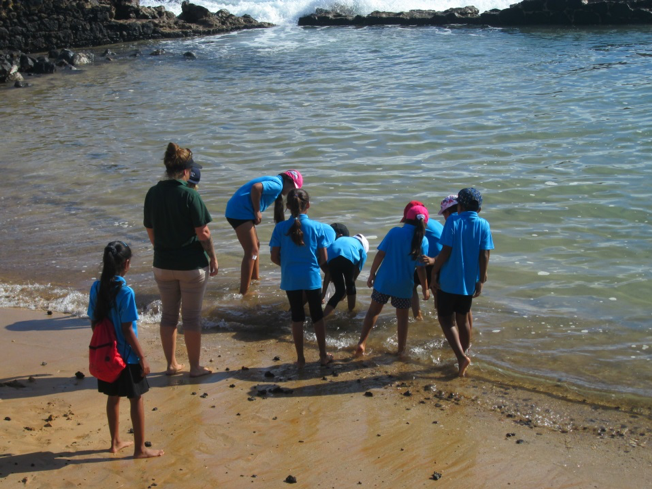 Don’t forget to sign up to our weekly job alert emails and keep an eye on our Wise Work pages so you don’t miss your dream opportunity in marine conservation.